Struth: "Our target is to localize 75 to 80 percent of our parts." Robert Bosch LLC has targeted North America as a high-growth market. The German supplier is spending $350 million this year to expand production in North America, and it is buying more components there, too. 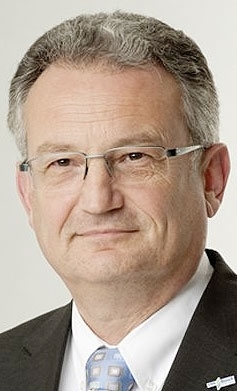 Werner Struth, 55, has been chairman of the Bosch unit since Jan. 1. Struth, a mechanical engineer who began has career with Bosch in 1989, described his company's growth strategy in an interview with Special Correspondent David Sedgwick. At the start of the year, Bosch predicted that its global sales — including automotive, industrial and consumer goods — would rise 3 percent to 5 percent this year, but now the company is unsure whether that target can be reached. Why? Brazil's auto industry — and Latin America in general — isn't as strong as expected. That came as a surprise to the entire industry. Fortunately, the U.S. is running very well, and we have a strong recovery in Japan. But China's growth is slowing down, and Europe, especially southern Europe, is not as strong as we anticipated. Are you expanding production in North America? Last year, we invested $200 million for additional capacity [for automotive, industrial and consumer products]. This year, we are investing $350 million. Some plants will be expanded and renovated, and we will bring in new machinery. But we will not establish any new plants. We are launching production of gasoline direct injection, and we have a new program for commercial vehicles. So there are a lot of new launches coming up. Can you meet all your production targets? Are you buying more North American-built components? The number of our North American suppliers is steadily increasing. Our target is to localize 75 percent to 80 percent of our parts. Currently we're at 60 percent to 65 percent. There are multiple reasons. You have stronger protection against currency fluctuations and your pipeline is shorter. It also lets you have a lean production system. Europe's auto industry has excess capacity. Will Bosch close any European plants? Fortunately, we can compensate for overcapacity by shipping [parts] out of Europe. Of course, we need [permission] from our customers, but they appreciate our flexibility. Our customers that have global platforms get the same parts in the U.S., Asia or Germany. So most of your products can be shipped long distances. Yes, that is true. The majority of our products are small, but valuable. Your company predicts 8.6 million engines will be equipped with Bosch-supplied gasoline direct-injection systems in 2014, up from 4 million in 2011. That's a huge growth curve. Yes, we expect significant growth. Gasoline direct injection is lifting off on a global basis. It is not yet that strong in Asia, but in Europe and North America we see a clear trend.